Honor Stoles are available for purchase for qualifying graduating students. See the bookstore for the eligibility list. They are $15. Honor cords for various programs will be after May 1st. Check back then for any information about eligibility. Caps, gowns and tassels and announcements are available for exact cash only purchases in the bookstore now. Visit the bookstore for info on availability and pricing. See the GRADUATION button below for more information. The next driving permit seminar is scheduled for Wednesday, April 17th. Registration forms are in the bookstore. All students MUST be wearing their current school year ID Card around their neck while on campus. If your student forgets or loses their ID card, they need to purchase a replacement ID. The cost is $5. Please have students be prepared with the ability to pay for a replacement in case this occurs. 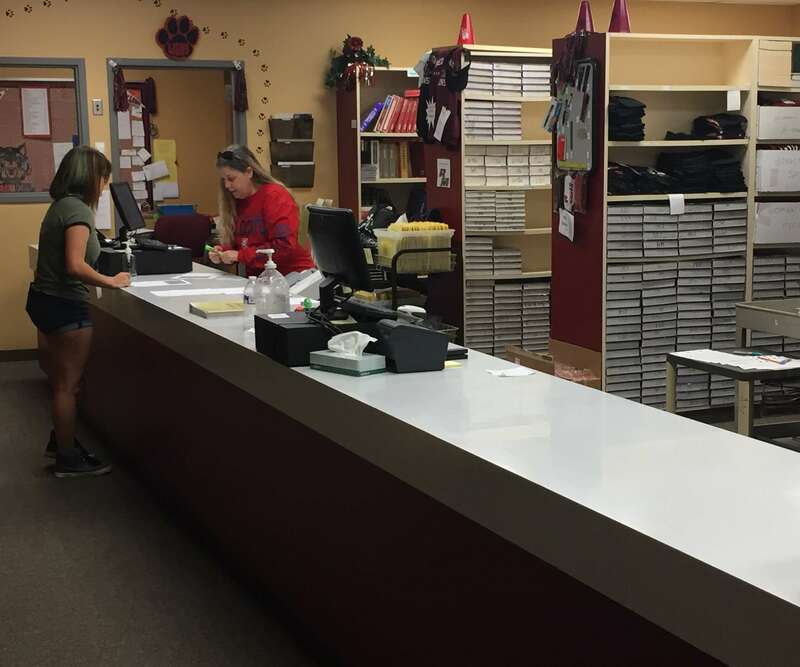 Welcome to the Red Mountain Bookstore, where a wide assortment of school-related items can be purchased. All financial transactions for students are processed in the Bookstore, such as class fees, field trips, dance tickets and performing arts tickets. Fines must be cleared prior to purchase of optional items.